Karen will describe the amazing biology of migratory monarch populations, and the work of citizens and scientists in documenting monarch numbers at all stages of their migratory cycle. 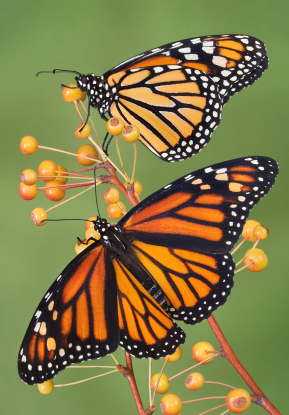 She will also summarize the potential impacts of a changing climate on monarchs during all stages of their annual cycle of breeding, migrating, and overwintering. For further information call (920) 854-7559. ← Mark your Calendars for this Amazing Event ! ! !